DENALI NATIONAL PARK, ALASKA - Often shrouded by clouds, the majestic Mt. 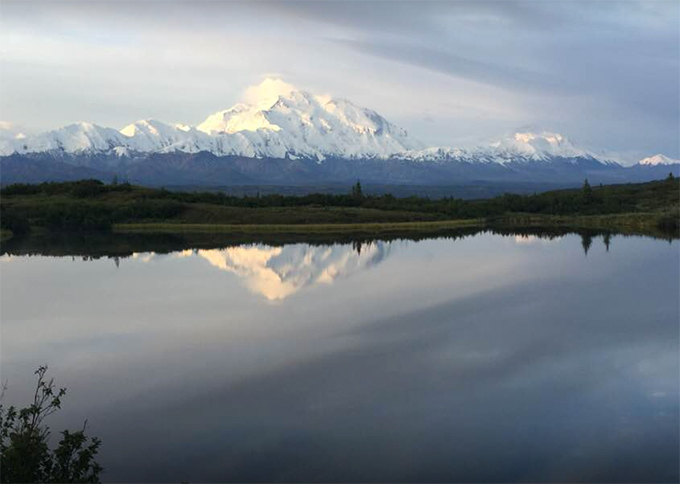 Denali is captured in this photo taken from inside Denaili National Park and Preserve. The summit rises 20,310 feet above sea level, making it the third most prominent and third most isolated peak on Earth - behind Mount Everest and Aconcagua.